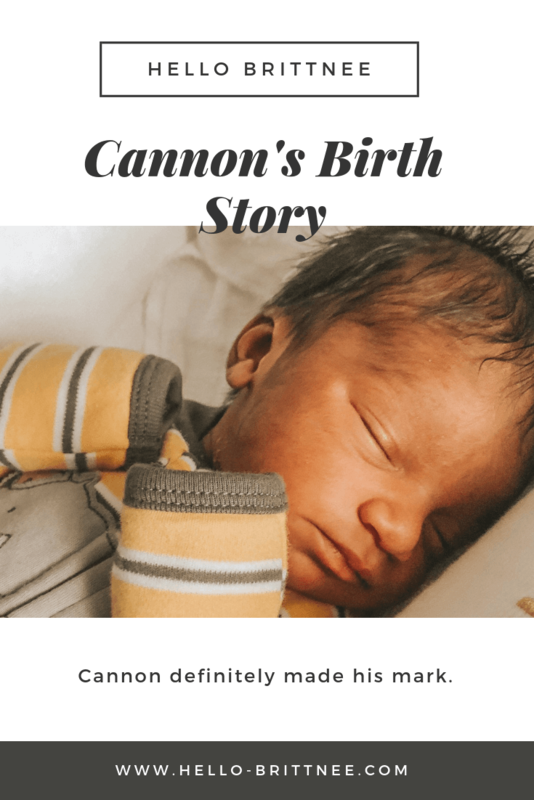 I’m finally telling Cannon’s birth story and sharing my thoughts and feelings leading up to his entry into this world. Let me preface by saying that the “you’ll know when you’re in labor” saying is not always true. I think this is the one thing that I constantly heard about that didn’t apply to me. For the weeks leading up to my due date, I was pretty calm about this whole thing. I mean, I was a bit scared because of the maternal mortality rate in the United States. It’s a scary number, especially for such a developed country. Plus, the number gets higher for African-American women so yeah, I was pretty scared. Honestly, I was dreading it all as I thought more and more about it but how else was Cannon going to come out? My doctor had been telling me that Cannon was going to be late. He was on the smaller side, and with each cervical check, I showed no signs of labor. In fact, they told Chase and me about how they would let me go to 42 weeks. My doctor hinted that he was going to be late after each visit. Ultimately, we assumed we were going to have a late baby. It got to the point where I almost pushed back my FMLA and was scheduling meetings throughout the week that I was due. I was lucky enough to get a lot done before Cannon got here. 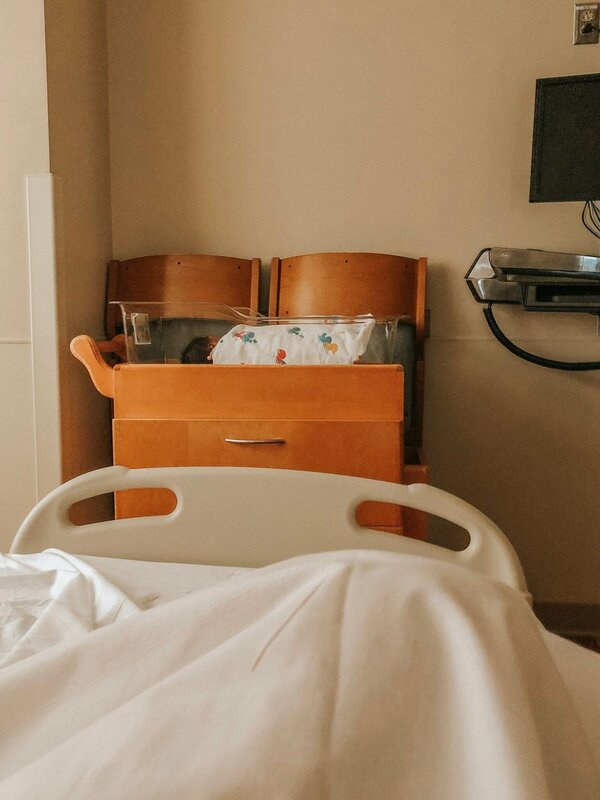 My bag was packed, and the nursery was 98% done — I was ready on the outside. With Cannon’s birth, I had been having contractions the day before on Sunday. I thought nothing of them as they weren’t painful and I could do the things I had been doing. Chase was back home in Elyria which is about 2 hours away, and I figured if anything were going to happen, he would be back in time. Basically, I was convinced this was pre-labor and that it was happening since I was due in two days. I didn’t feel the need to text or call since I assumed he would be back in Columbus that night (and I was wrong). I spent Sunday with my parents, and we finished the nursery. We hung up the decor, and my mom shampooed the carpets. It was a day of trying to get things done with three days left. Like I mentioned earlier, I had been having contractions for most of the day. These contractions started around 5 am and just went on all day, but they weren’t consistent. I was able to go to breakfast with my parents and their friends, hang artwork and hang out with my dog. These were all things that I normally did. Apparently, my parents and dog thought otherwise as I hadn’t spoken about the contractions but they showed concern throughout the day. Weirdly, I received a text in the evening from my dad checking on me and a call around 10 pm from my mom. Both were checking in, and my dog refused to leave my side the entire day. It was like they all sensed it. Around 11 pm, I reached out to my doctor as the contractions were more consistent and I was worried. I didn’t know what was going on by they were just happening at a variety of times. I’m talking like every seven minutes to every four minutes. They were all over the place. And then, I lost my mucus plug, so I was very concerned, but my doctor was not — he returned my call an hour later and brushed off the concern. I definitely didn’t have the best doctor — I know for the future to go where I want to go and not where my PCP refers me to. After the phone call, I figured I would just go to sleep, and everything would be okay. Wrong. I should have called my parents and Chase, but I thought I could brave it out. Plus, I had a doctor’s appointment later that day, so I just thought I could make it until then. Terrible thought on my part. Around 3:30 am, my water broke. That’s when I knew this was the real thing. I still waited, though. Finally, I called my doctor around 4:55 am as that is when things got unbearable. I was timing my contractions and doing all the things that I needed to do. When I finally called, I had contractions around four minutes apart, and my doctor finally agreed that I should come in. He was truly not the best. 2/10 recommendation from me. Once I got the go ahead, I called my parents as Chase didn’t come back as I had assumed. It turns out; he had plans to go to a funeral that Monday so he was supposed to stay in Elyria. Plans changed, obviously. While I waited on my parents, I decided to walk Rocko because of priorities and responsibilities. I had everything packed, and I wanted to make sure he was okay before I was off. Lucky for me, I have a high pain tolerance. I say this as contractions are terrible. I had to remind myself to breathe and that I would get through it. My parents got me to the hospital at 5:55 am, and from there, the nurses hooked me up to monitor me and check to make sure my water broke. After two people checked to see if my water broke, they couldn’t tell, but they were keeping me as my contractions were impacting Cannon and I was 5 cm dilated. Every time I had a contraction, Cannon’s heartbeat would drop. This was no good and entitled me to a stay in the hospital. From there, I sent an email to my team to let them know I was having my baby and my mom called Chase. Yes, we delayed the call as my doctor made it seem like I wasn’t going to deliver. It was a shock for Chase and I. No worries; he made it back for his son’s birth. 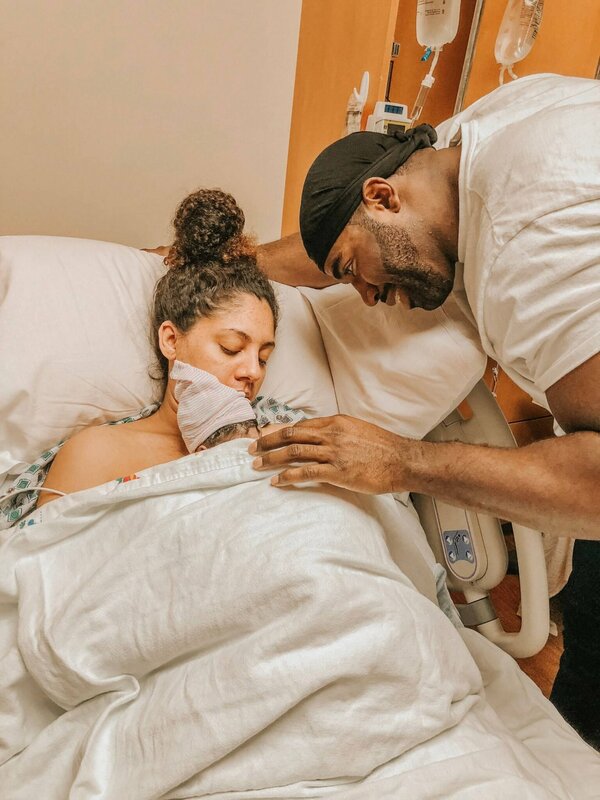 He just didn’t have to deal with the contractions and pain. It took a while to get an epidural as they would not administer it when Cannon’s stats were low. So, I had to live through a few contractions as they waited for the stats to go back up. They were terrible. It was at the point where they had to hook up all types of cords to me and an oxygen mask. When I finally got my epidural, it hurt like heck. They couldn’t get it in right away, so that made it worse as you have to hunch over to a certain point and that killed my back and pregnant belly. Listen, the number of fingers prodding and touching you is wild. I had so many people in my business. When Chase finally arrived, I was around 7 cm dilated and was watching whatever was on the television. 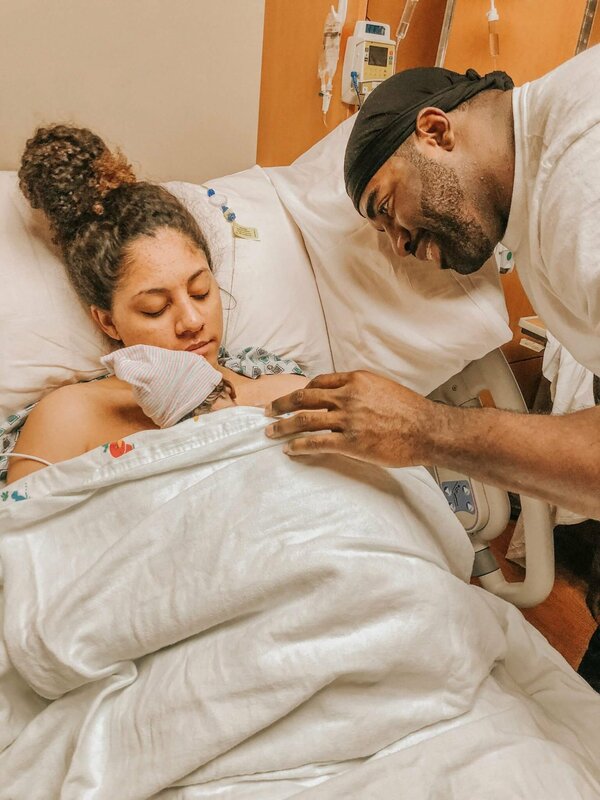 I had my epidural in and was experiencing the shakes they tell you about. It didn’t take long to hit 8 cm and then 10 cm. When they said I was at 10 cm, I was so relieved. Until the entire ward walked into my room. The team was really big which is great if anything happens, they were ready. Fortunately, I didn’t push for too long. I remember the shouting of being told to push and just doing it. I couldn’t feel anything, so I can’t confirm if I was pushing or not but I was trying to do what they said to do. And, I had Chase on one side and my mom on the other, just telling me to push. Also, I might have laughed here or there because Chase is a goof and he was shocked by labor. 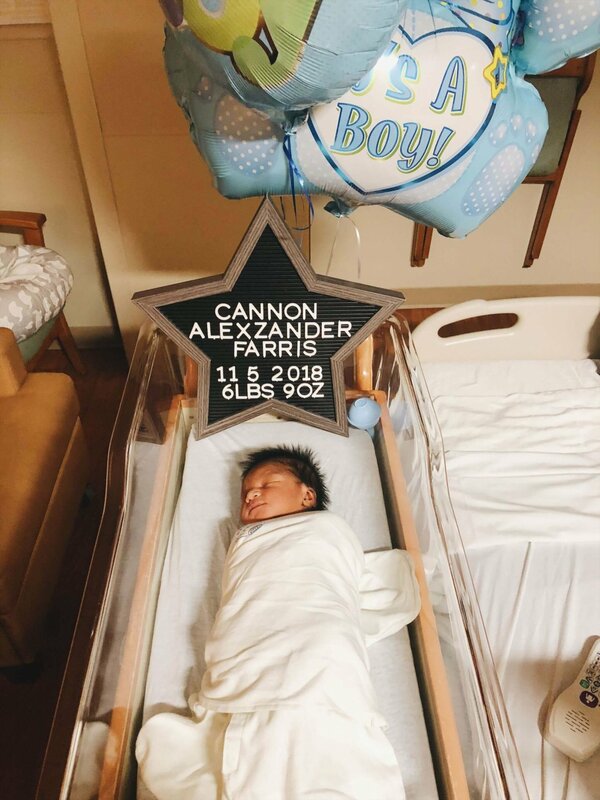 At 10:10 am on November 5th, 2018, Cannon made his debut into the world at 6.98 lbs and 20 inches. 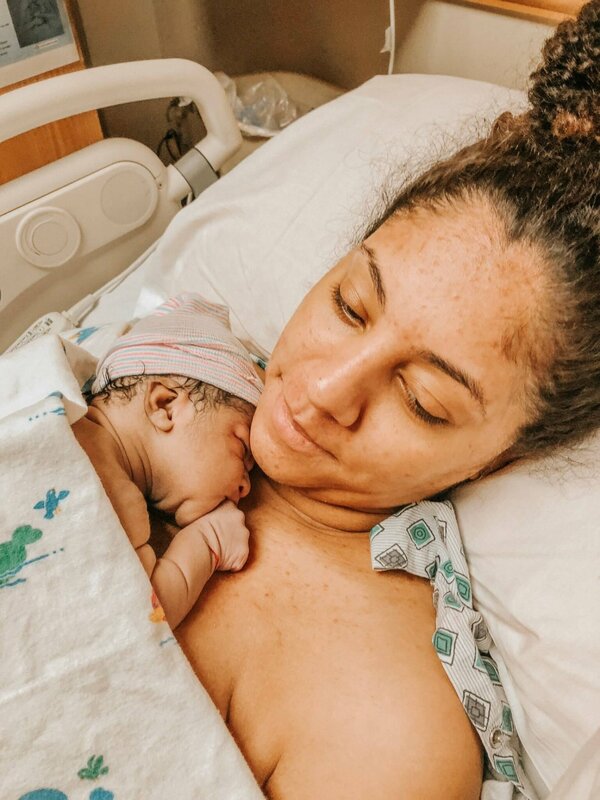 My birth plan didn’t go according to plan at all — they used forceps, I got an episiotomy, and I didn’t go to my preferred hospital. But, I can’t complain because the nursing staff was amazing. I felt so much relief when they placed him on my chest. Honestly, I couldn’t believe it was real life. I might be biased, but Cannon is perfect. He has a head full of hair, beautiful skin tone, and perfect features. Chase and I are obsessed. I’m probably more obsessed as I’m his mom and I carried him for so long. It’s true what they say; you just fall in love on sight. 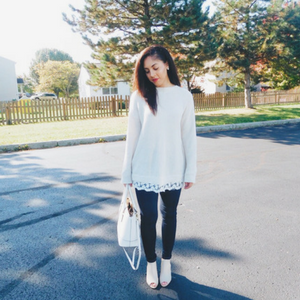 Want to go back through my pregnancy journey? Here are a few posts about it: 35 & 36 Week Bumpdate, Cannon’s Baby Shower, Weeks 33 & 34 Bumpdate.